I went to Tsuchiura city for buying some candy, then I ride to lakeside of Kasumigaura. 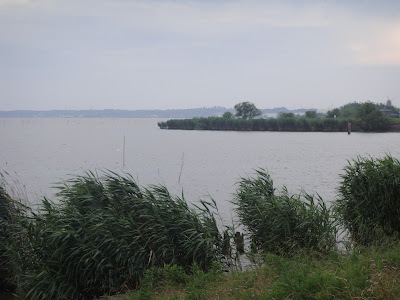 It is a beautiful lake, a gentle breezing and fresh air, although it was little cloudy. There seems no destroy of the eco-system. All is natural so that I felt refreshing energy. 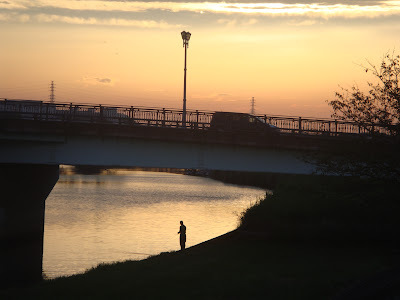 A man was fishing when the sun was setting. It’s a perfect picture.